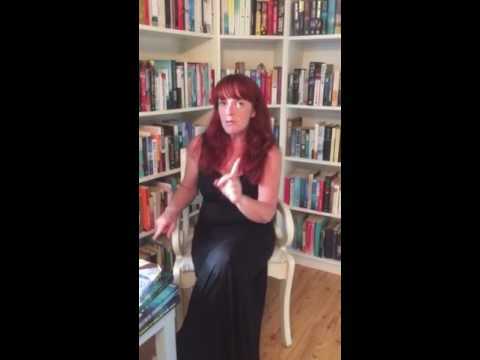 BleachHouseLibrary.ie: Book Review - 'Be Frank With Me' by Julia Claiborne-Johnson. My Top Read of 2016. 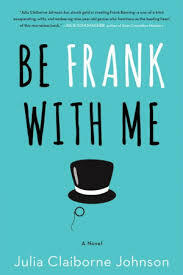 Book Review - 'Be Frank With Me' by Julia Claiborne-Johnson. My Top Read of 2016. Nine year-year-old Frank is different to other kids. Fascinated with old, classic movies he channels his inner Cary Grant and Humprey Bogart, dressing with style and individual flair. He can quote huge chunks of his favourite movies and sees the world through the eyes of a old-style Hollywood director. When Alice comes to stay with Frank and his author mother, Mimi Manning, an unusual friendship forms as they learn to adjust their personalities to suit their living arrangements. Mimi Manning is a reclusive writer, with a massive bestseller under her belt but has now been given the task of writing another. Herself and Frank have been hidden behind the glass walls off their LA home for years and neither are keen to have a young woman move in with them as the new book is written. Alice struggles to learn their quirkiness and each day brings new challenges. It is not long before she sees Frank's compulsive behaviours for what they are... He is a child who lives in the past. He dresses like a dapper 1950s movie star, accessorizes each outfit with a button hole or cravat, has an array of catch phrases and knows the best places in LA to shop for his vast, eclectic wardrobe. He may not be great with human interaction, but he is utterly charming in his eccentricity. Julia Claiborne Johnson has produced one of the most enchanting books I have ever read. I completely lost myself in Frank's world. He is delightfully weird and wonderful and entirely unforgettable. A child who has virtually no social skills, a brain full of random and insightful facts, the ability to name and re-count hundreds of classic movies and can wear a top hat on public transport. He lights up the pages of the novel and you know that each chapter will have his personality seeping into your soul. Mimi has a touch of the Harper Lee about her, with the One Great Novel being both her saviour and her downfall. Alice is far from Mary Poppins, but she has something special. She accepts Frank for who he is, sees what he needs and more importantly what he doesn't need. A child who is different should not be forced to fit a mould. Frank is special and Alice brings out the best in him. They have mini-adventures, fighting the system and learn to adapt as minimally as they can. Like Christopher Boone, in Mark Haddon's The Curious Incident of the Dog in the Night-Time, Frank is a boy who will imprint himself on the reader's mind. You will want to slow down the reading, so you won't have to say goodbye. This is a truly spectacular novel, written with simple prose and mighty articulation. Once you enter the gates of Frank's LA home, you will be hooked. There is magic within the pages of this book, moments that will stay with you long after you have reluctantly turned the back cover. Frank will linger for days, weeks, months. He is a monocle-wearing, slicked-haired, mini-gentleman who will charm even the hardest cynic. I miss him desperately.